the little nordic cabin (old): Have a productive weekend! 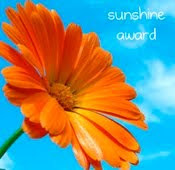 Yesterday I found Lisa's wonderful blog, please go and have a look at her beautiful spring pictures, I promise they will brighten your day! This beautiful castle was the inspiration for the castle from Sleeping Beauty, wouldn't it be the perfect place to spend a snuggly weekend? Please go and visit Jeremy at geekytendencies, he has been talking about candy this week, too! Shall we spend the weekend cozying inside these hilarious Icelandic snuggies? What do you have planned, my dearies? THANK YOU for your visit yesterday! I TOO LOVE NORDIC design. I live in Minnesota where the Scandinavian culture is rich and embedded in daily life, and not being a native to this region, I never thought that this culture would grow on me, but it has. LOVELY. Those Icelandic snuggies look amazingly cosy. Do they ship to the UK? I could do with one of those when I'm sat at my pc writing in the dead of night. As for what I'm up to today? 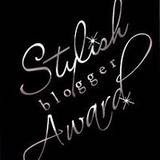 Just finished reading through blogs I follow and posting any comments I have. Finally found a pain killer combination for this damned infected tooth of mine (that's what you get for crunching candy sweets - cracked teeth are no fun and lead to root canal work!) that works. I must start writing part 9 of my blog story. Sadly can't exercise due to the banging pain in my mouth when my pulse rises. I would take the dogs out for a walk, but my wife has taken them into Cardiff with her for an afternoon with her mother and a walk. So I think I'll crack on with tiling the en suite shower and watch an episode or two of 'The Big Bang' for laughs. Oh, btw, Nikki - a friend of mine has a site she follows religiously, so I thought I'd mention it to you. Look for 'Gala Darling', I think you might find one or two things there you might enjoy. She seems to be very popular. 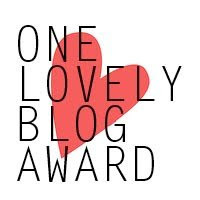 Thank you very much to mention my blog! You are really sweet! Enjoy your Saturday and good luck for Monday! I will keep my fingers crossed for u !! The weather has been nice here (New York), but we've all been sick and unable to enjoy it. This weekend's plans are to write and read and do more memoir planning. Fun stuff! Have a wonderful weekend! Good luck with your presentation! Congratulations! 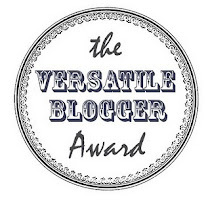 You have won the Versatile Blogger Award! 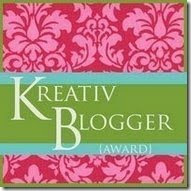 Please stop by my blog, The Armchair Squid, to pick it up. Been rehearsaling most of the day and will be doing the same tomorrow.